Southport Reporter® is the Registered Trade Mark of Patrick Trollope. YOU may be thinking it’s a bit late in the day to bring you a review of the Matrix Reloaded, however we wanted to rate the film after all the hype had died down. When the Matrix first entered cinemas back in 1999, it was unknown, unhyped and unexpected. And that is exactly why it did so well. The avidly anticipated Matrix Reloaded burst onto the movie scene last month and enthusiastic cinemagoers just couldn’t wait to get a piece of the action. Does it live up to their expectations and can the masterpiece that was the first film ever be repeated? Yes it can. Matrix Reloaded is a fast, roller coaster ride, which will keep you gripped to your seat. Featuring the most expensive and awe-inspiring car chase ever made, breathtaking stunts and fight scenes and the beautiful Keanu Reeves - it’s most certainly one that’s not to be missed. 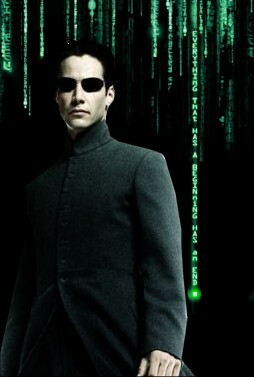 The film’s soundtrack is immense and catapults you into the surreal world that is the Matrix. Without giving the plot away, the mainstay of the film is focused on heroes Morpheus (Laurence Fishburne) and Trinity’s (Carrie-Anne Moss) pursuit of the mysterious entity known as the Keymaker (Randal Duk Kim). The film lacks the surprise element of the first one, and whether it’s as good as or better is your call. The flick finishes with everything still hanging in the air. Luckily the last of the trilogy has already been made and it won’t be long before ‘Matrix-mania’ hits the world once again. I most certainly can’t wait, can you? I have to give this a rating of five out of five. Brill. Southport Reporter is Trade Mark of Patrick Trollope. Copyright © Patrick Trollope 2003.